The SQL If Else Statement is one of the most useful decision-making statements in real-time programming. 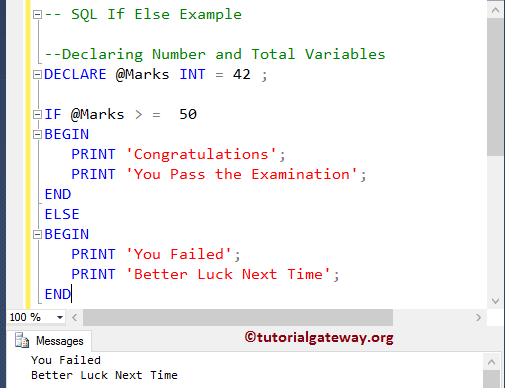 SQL If statement will test the condition first and depending upon the result it will execute the statements. This accepts any test condition as the argument. 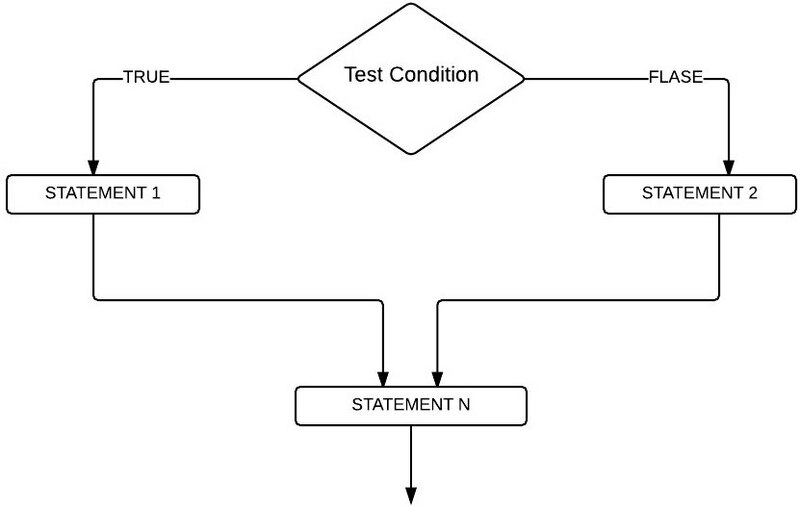 If the test condition or an expression present in the above structure is true then True statements will be executed, if the condition is false then False statements will be executed. Let us see the flow chart of the SQL Server If Else statement for better understanding. 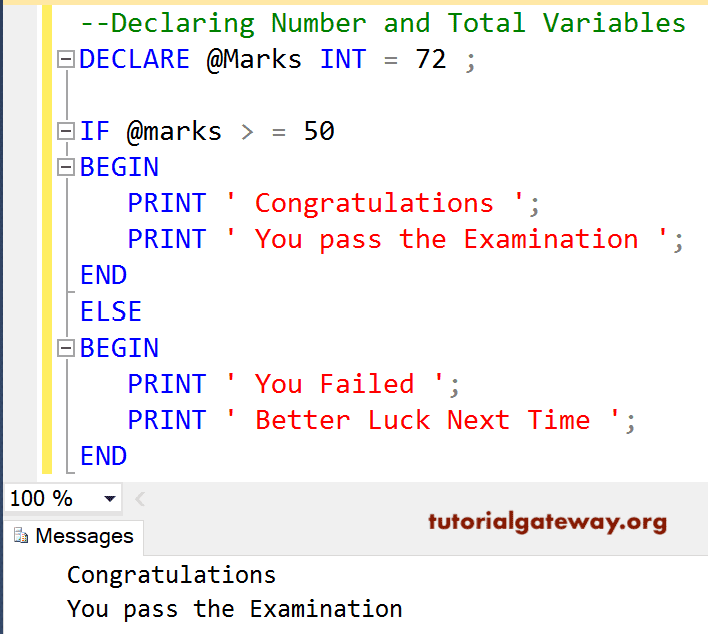 If the test condition is true then STATEMENT 1 is executed followed by STATEMENT N. If the condition is False then STATEMENT 2 will execute followed by STATEMENT N is executed because it is out of the if else condition block and it has nothing to do with the condition result. 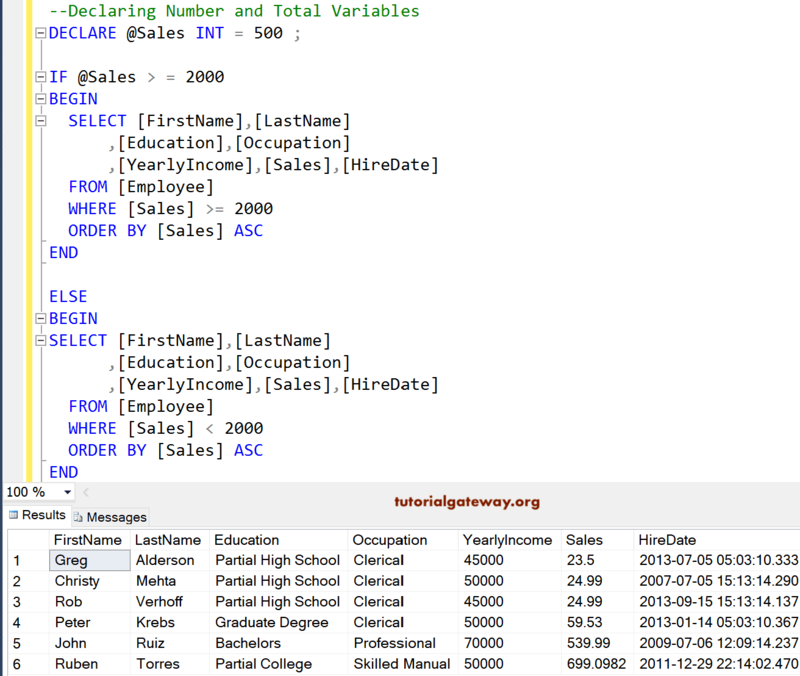 In this Sql Server if else statement example we are going to place four different statements. If the condition is true we will display two different statements, if the condition is false we will display another two statements. 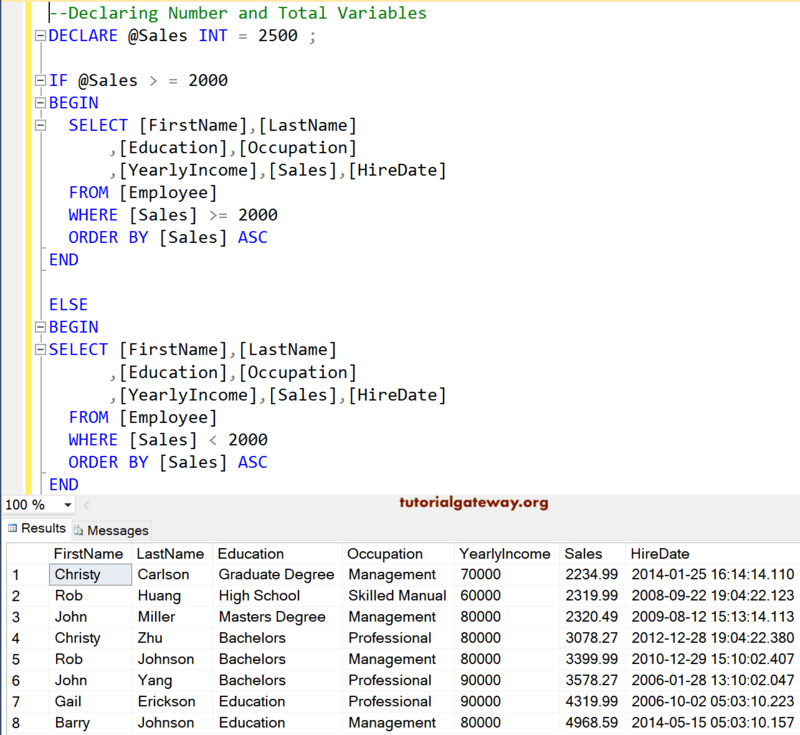 In this program we are going to check whether the Employee Sales is greater than or equal to 2000 or not using our SQL Server If Else Statement.